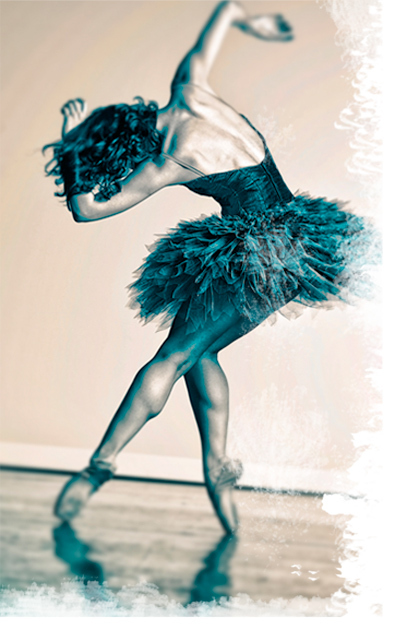 Kristi Boone, soloist with ABT, also began at thirteen. She had natural facility for ballet’s demands and talks about her first experiences in this ad for Gaynor Minden. Superstar principal of New York City Ballet Wendy Whelan didn’t start serious training until relatively late, though she did take dance as a youngster. You can listen to her talk about her training path here. Vannesa Sah, of the tech-savvy pre-professional company Anaheim Ballet, didn’t begin ballet until college. She has some lovely words of encouragement and advice for late-starters here. Recently retired darling of The Royal Ballet Darcy Bussell began her formal training at the school at White Lodge at 13. Bussell did have some prior dance training then. Her epic career has been an inspiration to aspiring ballerinas of all levels. Carmen Corella, Artistic Director and principal dancer with the recently founded Corella Ballet Castilla y León, began her training at around 13 as well. After a successful career reaching to a soloist position at ABT, Corella followed her brother, ABT principal Angel Corella to found their new company with a little help from another later beginner you may have heard of, Natalia Makarova. Most recently seen in the national campaign for BlackBerry, Misty Copeland is not only a late beginner, having started at 13, but is also the first African-American in two decades to achieve soloist rank at American Ballet Theatre. She has also significantly helped broaden acceptable and appreciated body-types in professional ballet. Clearly Ms. Copeland has multiple broken barriers in the ballet community through her undeniable excellence. Naturally, I am still going to caution you that a professional contract is a mighty goal even for a female dancer who began at a proper age for it! But like Vanessa Sah, you can certainly find a happy ending for your dance training if your goals are to learn how to express yourself enjoyably through movement in a challenging classical vocabulary. Or would that be a happy beginning? Update: A reader has pointed out that Zhou’s own résumé indicates that she attended a summer program in 2005 (six years ago) and has taken many Cecchetti exams. I generally try to respect artists wishes to exclude training that they feel was not of a level sufficient to designate it as part of their education. While Zhou indicates that she attended summer dance camp in 2005, I would be suspect of any summer dance program with the word “camp” in it. In fact, the current program is advertised as less than two weeks of instruction. Zhou does not mention any other ballet training on her resume before Kirov in 2007, so I have chosen to respect her implication that whatever took place before then was too low-quality to have influenced her career to any possible degree. In fact, in this article, Zhou discusses that she didn’t even know that Sleeping Beauty was a ballet, leaving one to wonder if her original school did more harm than anything. As you know, it is much harder to undo bad training than learn from scratch. That said, I do not know anything about her former school personally, so feel free to research it (named in that article) and decide for yourself. I’m also sorry to say that from what I have witnessed, Cecchetti exams in the US do not necessarily provide any indication of whether a student has learned ballet. I have seen many passing students who were wholly pedestrian. Read this post on BalletTalk to understand more about the risks of poor schools, even those who may talk of their Cecchetti exams. This is an important topic that probably deserves its own post, but that will have to wait for another day! The reader has brought a very important issue to the table, and I hope I have done the matter justice for the time being. Whether it’s alphabet soup – SAB, ABT-JKO, SFB, PNB, BBS – or one-name-celebrity-style – Kaatsban, Joffrey, Rock – major U.S.-based ballet schools often attract young auditionees by their name alone. But what is the actual worth of attending a big-name school? Will it help in your chances to dance professionally? Let’s do a reality check. The most common misperception about ballet training that I encounter is the idea that attending at a “big-name” school will make or break whether the dancer will be able to secure a professional contract. This is simply not the case. But in order to understand why this is and what can make attending a famous school good, you first need to understand the process of auditioning for a professional ballet company. The primary concern of most artistic directors when auditioning potential company members is the auditionees dancing ability, plain and simple. For serious consideration for a company position, you will usually need to get invited to a closed audition or a company class. The first step is to send an audition tape package, which may be very similar to an SI audition package, or to attend an open call. Whether you attend a cattle-call (open call) or send a DVD, the primary focus of the initial cut is your dance ability. More often than not, your résumé will just get a quick glance or perhaps not be reviewed at all before that cut. So what’s the point of attending an expensive, famous school in a far-away city if it can’t guarantee you a job – or at least an audition? As you hopefully realized from the audition description, this is all about your dance ability. A high level of technique, artistry and quality of movement are what artistic directors want to see – and a big-name school just might get you there… or it might not. You see, elite ballet schools across the country, whether big or small, have individualized strengths, features and areas of focus. One school might have small, mostly classical classes that focus on artistry and expression, while another school might have large classes where competition for attention and an apititude in a wide range of dance genres are required. A shy dancer that dreams of performing classic story ballets may not thrive at all in the latter school, but could potentially blossom and find her full potential in the former. The opposite might be true for an outgoing, naturally expressive dancer who is interested in exploring contemporary ballet or mixed-rep ballet companies. Do you see where I’m going with this? It’s not at all about the name, it’s about the quality of instruction and finding the learning environment that will best accellerate your dance abilities. What you need at the end of the day is not some mythically ideal resume, it’s an ability to perform in class, auditions and on the stage very, very well. And the school that is going to help you do that is the school you should want to attend, regardless of how recognizable their name is. In fact, name-recognition can and does prevent some young dancers from getting the best possible dance education. I’ve unfortunately seen more than one student pass on opportunities to train at smaller schools with great reputations for personal mentoring and instead jump on offers at glossy, national-level SIs or satellites. Sadly, these students quickly got lost in the crowd and came home challenged, but not as improved and inspired as they should have been. There is another important caveat about the largest schools that is important to take into calculation. Whether intentionally or not, they will often take credit for a beautifully trained dancer who they did not truly create. That happens most often when an advanced dancer from a small-town school goes to a major school for a final year of finishing. (Remember Center Stage?) In these cases, the bigger school might indeed transform the dancer from a student into an artist (which the smaller school perhaps could not) but usually have nothing to do with the meat and potatoes of the dancer’s training. Recognizable names attract lots of auditionees, so that some schools are able to recruit dancers that are virtually fully trained and place them in their highest levels. (This is also a great testament to the quality of many smaller schools across the U.S.) Ask yourself how many of the advanced dancers were actually trained by the school’s lower classes. Finally, for company schools, be sure you are not improperly associating the reputation of an affiliated company to the school. Certain companies only rarely hire from their own school, so that the company could be a completely unrelated picture of the school’s capabilities. You should also consider that a regional company’s school might provide more realistic opportunity for future employment than a national one. Should all famous schools be avoided as expensive wastes of time? Of course not! Well-known schools have the very important benefit of attracting the very, very best staff. What’s important, though, is to take into consideration the many other factors that are important for good training. There are definitely U.S. schools that have built their huge reputations by simply offering only the highest quality training, however you still must be aware that not all programs are right for all dancers. Think carefully about what you need as a dancer, and then find out where to get it! According to College Matchmaker, which provides links to and info on thousands of colleges, there are 254 four-year colleges in the U.S. with majors for ballet, dance or musical theater. That’s a lot to consider, especially if you don’t even know what you should be looking for. An excellent place to start your planning is by reading through Dance Advantage’s college guide. This section of the DA website provides invaluable information from how to decide what you are looking for in the first place to how to excel once you are there, plus a nice list of external articles and websites to get you well on your way creating and narrowing down your list of colleges. There is a lot to be gained by pursuing a higher education while refining yourself as a dancer. If you are not sure whether to even continue dancing while in college or whether to skip college altogether and pursue a career in dance immediately, researching your options thoroughly before deciding can give you a more realistic picture so that you can fully assess all the pros and cons. What makes the “best” college for you will depend on a variety of factors, including your goals in dance, whether you want to get to a pro level via college or go recreational, and what kind of college dance programs are available to you financially. If you have professional contract offers already and are considering accepting one, you should seriously research your options for pursuing your education in that city, though you may not opt for a dance program at all. During your research, don’t get too hung up on terminology for dance programs (B.A. vs. B.F.A, for example). Focus on the instructor quality, the program’s intensity, class offerings, performance opportunities, facilities and of course where the alumni are now. Good programs will require an audition. Lastly, consider whether to treat your college education and your dance education as separate pursuits, just as you may have done during your high school years. If you have access to a superior dance school, there may not be a college program available to you that will surpass it, so that it is certainly worthwhile to consider enrolling in the dance conservatory or school to continue with dance while taking non-dance college courses. There is a wide variety of quality in U.S. college dance programs today, but for an idea of what to expect, check out this article from Dance Informa Magazine. As you can tell, there are many, many options to consider even before you start examining college dance programs. But it’s not as daunting as it might seem! Take control of your college future by delving into the articles and links I’ve provided, and before you know it you’ll be well on your way to planning your college career. Getting Accepted: What Are “They” Looking For at SI Auditions? Summer Intensive auditions are now in full swing, and I’ve gotten tons of great questions from you guys lately about what the SI adjudicators will be looking for! I know you all sometimes feel a lot of pressure about these auditions, but you should know that the adjudicators will make it as positive an experience as possible. Often, your audition fee will be a “master class” fee, and you will have the benefit of instruction and correction from exceptional teachers during the audition class. Of course, we can’t talk about ballet bodies without getting to the touchy question of weight. I am not going to sit here and tell you that SIs never accept underweight dancers. Sadly, some SIs might overlook an underweight dancer who is able to hobble through an audition, but these dancers generally do not make it far in ballet (or sometimes even that SI) due to their sheer inability to physically keep up. Without a proper muscular structure and proper food intake these dancers inevitably cannot perform as required. One of the saddest things I saw as an SI student was when dancers were sent home from a program for concerns of being underweight or unable to physically keep up. It goes without saying that being overweight will be similarly inhibiting, and that an athleticly slim figure is often preferred. So the most important thing is to be of a healthy athletic weight, and that means being neither over nor underweight. You probably notice that the first ten items on this list are all related to technique. Remember that these adjudicators are not looking for perfection. In fact, up to the age of about 14, they are giving quite a bit of consideration to the dancer’s potential. If you are lacking in technique due to inadequate instruction for example, you can show through your ability to pick up corrections and choreography that you are very teachable and therefore perhaps an excellent candidate. As you get a bit older, however, adjudicators will be looking for a more finished product. By the age of 17 or 18, you will want to present yourself as a dancer who has most of her technique and movement quality at a professional level. They will want someone at that age to be working mostly on artistry with perhaps some technical fine-tuning remaining to be done. Do not underestimate the importance of the last two items I’ve listed. Showing your love for dance through enthusiasm for learning and enjoyment of movement can and often does cause an adjudicator to give a student a second, third or even fourth look. Avoid the “deer in the headlights” look at all costs! Be present in the moment, attentive, focused mentally and with your eyes, and remember why you are there in the first place … because you love, love, love to dance! Merde, ballerinas! May you all have an exciting and educational audition season!! Now that you know what you will perform for your video audition, it’s time to think logistics. When will you record you DVD? How? Who can help you? What if you don’t have a video recorder? What should you wear? What do you do once you have the footage? What should you include in the package with your disk? What else should you know about DVD auditions? All schools want to see recent footage taken at or perhaps soon after the time of their audition tour. Check their sites for deadlines. Make sure to record your footage no more than two months prior to the date that you mail your DVDs. Do not splice taping sessions from different days onto one audition DVD, and never try to make edits within a single exercise or splice two versions of an exercise together! I have seen some very embarrassing videos from young dancers who try to fool adjudicators into thinking that they finished an exercise as strongly as they finished it by editing two different tapings of a single exercise together. It is always completely obvious. A lot of families own a DVD recorder. If your family has one that you are allowed to use, you are a lucky duck. If not, you still have a few options. Check with classmates to see if you can borrow one, or look online for local videographers to see what they charge to make a professional DVD. Even if you do own a DVD recorder, a professional DVD can be easier (since you don’t have to deal with editing) and cleaner looking (since they have excellent editing software and high-resolution recorders) than a do-it-yourself DVD, if you can afford it. Alternatively, and perhaps best, ask your teacher if she has a recorder. Whether she does or doesn’t, ask if she would consider recording you and, as I mentioned in my last post, helping you choreograph and rehearse your audition exercises. Often, the format of the DVD files are not important, so that an mpeg file from your iPod Nano, for example, might be perfectly sufficient. Resolution is important though – the footage needs to be clear and good quality. If you can play the files on a DVD player or on a computer with basic software, so can they. Just let them know what program or device to use if they will not be able to play it on a DVD player. You can always call ahead to work this out with the school. You will be expected to dress properly for your video audition. That means you should follow the regular audition dress code guidelines for each school. They will tell you in their video requirements if there are any further attire rules specific to DVD auditions. You can’t really go wrong by wearing your best outfit of black leo, pink tights and pink shoes. Some schools will require you to pin an audition number card to your leotard, and they will tell you how to acquire or print it. [If a printed card is required, print it on the thickest paper you have, cut it down to a proper size (about 6”x7”) and pin it to the front of your leo below your bust with a safety pin at the top and at the bottom.] Wear your hair in a bun or French twist and apply full makeup – just make it a little less dramatic than stage makeup. Do not wear a costume, even if you are performing a variation. Do not include any performance footage for your audition video unless specifically and unmistakably requested by the school. Most schools receive many DVD auditions, plus they have to review all the live auditionees. Respect your auditioners time by staying safely within the time limit for your DVD audition. If the specs say no more than 10 minutes, don’t decide that your introduction shouldn’t count just so you can fit in an extra 15 seconds of piqué turns. Ten minutes maximum is the most common request by the way, though Ballet Austin Academy, for example, asks for about 15 minutes of material. Speaking of the introduction, you should either use a short portion of the DVD for a recording zoomed to your face where you state your name, age and city/state, or you should have a text page of this info inserted on a plain background to have up on the screen for a few seconds before your exercises begin. Either way, deduct the time that these items play on the screen from the total time allotted for your DVD so that you won’t go over the time limit. Also on the subject of taping technique, make sure that a) your full body is visible at all times, b) each individual exercise is recorded in one “take” with no cuts or splices and c) the camera is held very steady so the footage is not shaky. For barre, stay with one perspective (record from directly side or straight on from the front) for each exercise. For center, it’s ok to pan and take a diagonal perspective if necessary as long as your whole body is in the frame at all times. For jumps, be sure that you are zoomed out enough that they can easily see your jump height in relation to the floor. Use a similar zoom setting for exercises that travel across the studio and variations, perhaps starting with a tight full-body zoom and zooming out gradually as you travel across the floor. A good videographer or teacher can help with these decisions. Record a performance of each exercise at least twice to the left and right. Let me reiterate from Part 1: make sure you read the requirements of each school. Most of them just want a short barre and center and will give you a lot of leeway on the exercises, but there are some outliers. For example, the American Academy of Ballet does not want any barrework on video auditions. Also make sure you look for caveats to video audition acceptance. You don’t want to send in a video to San Francisco Ballet School only to have it rejected because you actually live within a 200 mile radius of one of their audition tour locations, their minimum distance for video audition eligibility. Once you have your footage all done – including a spoken introduction if you want that instead of text – you’ll need to decide which side (left or right) to show for each of the barre exercises. You want to show your best execution of each one, but you also want some consistency with the format of your video, so you’ll have to decide which grouping of exercises looks best: all to the right, all to the left or alternating right and left evenly. Depending on the requirements of each school, you may have to do the same for the center exercises. Your videographer or teacher can help you select which exercises to include and splice them together in the right order using editing software. If you are sending videos to multiple schools, you might need to make different versions of the video for each one. Once you DVD is finalized, burn a copy for yourself, a copy for whomever helped you and a copy for the school. Label each disk with your name, the date, your age, you city/state and your phone number. Some schools have a video audition card that you need to print out, complete and attach to the DVD or slip into the disk case. The properly labeled and encased DVD is the first item for your audition package. The second item for your audition package is your audition fee. Video auditions are often $50 payable by check or money order, considerably more than live auditions. Third is your paperwork. A video application form needs to be printed and completed for most schools. A few schools require a dance résumé instead of a form. Atlanta Ballet Centre for Dance Education has what they call an Absentee Audition Form – but they ask for a résumé also. I would also recommend a brief cover letter (on a business letter format) introducing yourself, explaining your interest in the school and thanking the adjudicators for reviewing your video audition application package. Once you have your paperwork together, make a complete copy to keep for your own record. Fourth, you will need to include a few photos. Unfortunately, the schools can vary widely on what they need, more so than when it comes to live auditions. You may have to have quite a few poses photographed. You’ll just have to – you guessed it – refer to each school’s guidelines. Finally, include an SASE (that’s a self-addressed and stamped envelope, kiddos!) that has enough postage for the weight of your video, unless the school does not wish to return videos. You are now ready to mail your audition package! Check and double check that you have the proper mailing address for video audition packages, the properly labeled and correctly compiled DVD, the appropriate enclosures. Then, take your package to the local USPS, UPS or FedEx/Kinko’s to have it weighed, stamped, and sent on to its destination by trackable service. Now breathe a sigh of relief and begin your patient wait… Before you know it, you’ll be holding a response envelope in your hands!